William (Billy) O’Connor. Singer, pianist, songwriter, agent, was born in Kingston, Ont, 9 Jan 1914, and passed away in Toronto 18 Nov 2001. His father, Thomas (Tommy) John O’Connor was a pianist and entertainer who, during the late 1880s, worked in the USA with Lew Dockstader’s Minstrels and was accompanist to the magicians Blackstone and Thurston. The elder O’Connor later performed throughout eastern Ontario as part of the team Crosby and O’Connor. The younger O’Connor was taught to play piano by his father after the family moved to Toronto in 1919. He served as an entertainment corporal in the Canadian Army during World War II and began working in Toronto nightclubs in 1947 and, with broadcasts from the Club Norman, undertook a CBC career in 1948. O’Connor continued on CBC radio into the early 1960s and was also heard 1954-59 nationally on a syndicated program sponsored by Coca-Cola and in 1961 locally on CHUM. 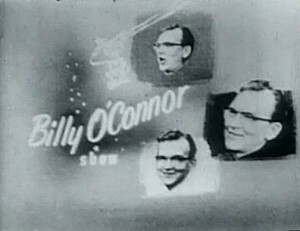 His CBC TV career began with Four for the Show, which led to the variety series The Billy O’Connor Show, produced at CKCO-TV in Kitchener from 1954-56, Club O’Connor in 1957, and ‘Saturday Date’ 1958-59. His programs were noted for introducing new talent, including Peter Appleyard, Juliette, Vanda King, Sylvia Murphy, Rhonda Silver, and the Two Tones (of whom one was Gordon Lightfoot). 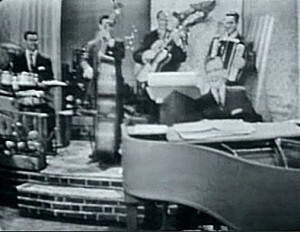 A post-hockey variety show with Billy O’Connor and his trio (Jackie Richardson on bass, Vic Centro on accordion, and Kenny Gill on guitar), produced by Bob Jarvis and Drew Crossan. 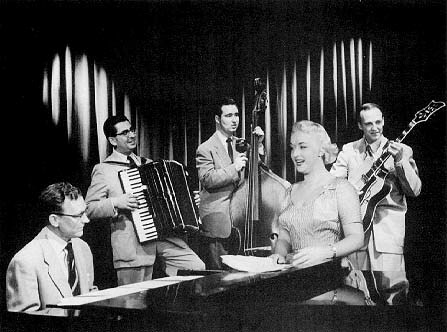 On 20 August 1955, Juliette made her first regular appearance on the show, in a time slot that she would later claim for her own. By the end of two seasons together, however, she and O’Connor had conflicted and the CBC decided to develop a program around her. Other regulars on the program were singer and comic actor Jack Duffy and pianist Bill Isbister. Photo (courtesy of CBC) shows Billy O’Connor, his trio, and Juliette.